Ram Asphalt has stood as the number one company on Long Island to call for seal coating for years. We’re known for our exceptional work, friendly customer service, prompt communication, and much more. For the past 18 years, we’ve consistently made our customers happy with the jobs we complete for them in Long Island. We’re always proud of the work we do! Our experts are able to perform both residential and commercial work for seal coating, so we’ll be able to meet all of your needs.We are confident that we’ll be able to accomplish any task that comes our way. With every job, our owner is on site and supervises the job from the very beginning all the way to completion. In addition, whenever we perform Seal Coating or one of our other services, our Long Island craftsmen professionally clean the area once the work is done. They also expertly handle any possible issues that happen as soon as possible. You can easily rely on us to professionally complete the job to your satisfaction. 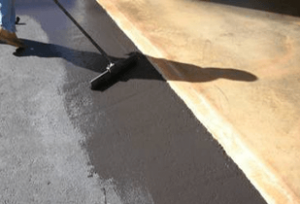 Seal Coating in Long island is often essential for covering asphalt on Long Island, due to asphalt’s tendency to react with vehicle oil and gasoline. Meanwhile, investing in a Seal Coating will help protect your asphalt from damage and keep it looking beautiful. Before we get started on your Long Island job, we’ll fill any cracks in your asphalt to extend its lifespan. Your Seal Coating will be in the best possible condition once we’re finished working on it. That’s because we never rush any kind of project – we really take our time to make sure you’re left with top quality work that’s going to last for years. We offer two different types of sealer to choose from. These Seal Coating choices are both carefully formulated to keep our Long Island installations looking great. The first is an oil based sealer, which is ideal for new driveways and will keep the asphalt in the best condition for as long as possible. Meanwhile, our asphalt emulsion sealer of Long Island is designed for commercial lots and driveways that will eventually need to be replaced. It’s a great way to postpone a replacement under certain financial circumstances. 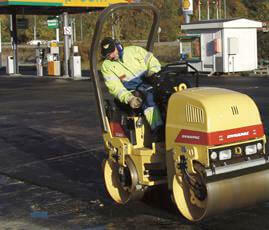 We’re the only company you’ll need to depend on for all of your asphalt needs. 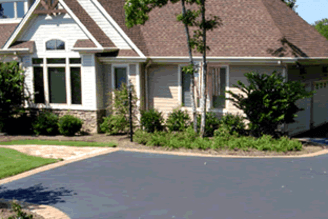 Here at Ram Asphalt of Long Island, we offer a full line of services in addition to our seal coating options. These include paving driveways, roads, tennis courts, and more, as well as drywell repair, pot hole repair, and resurfacing. 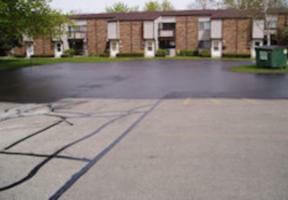 Our newly paved surfaces not only make your property more attractive, but also safer. For a completely free estimate, call Ram Asphalt of Long Island today at 631-306-4426. All of our calls are returned within 24 hours for your convenience. In addition, we’ll do our best to match or beat any kind of written estimate for your Seal Coating in Long Island from another company. Unlike other companies, we’re always honest with our customers and are as fair as possible. We’ll speak with you about our Seal Coating options and help you decide on the best services for your Long Island home. When you choose Ram Asphalt, you’ll have peace of mind knowing that you really chose the best company for your seal coating on your Long Island property.